Shop online for over 600 atlas-o at discounts up to 26%. This is a 10" Straight Track Section from the 21st Century Track System by Atlas Suitable for Ages 8 & Older. 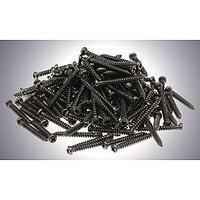 These are Atlas O Track Screws. Suitable for Ages 8 & Older. This is an O-54 Full Curve Track Section from the 21st Century Track System by Atlas Suitable for Ages 8 & Older. This is an O-45 Full Curve Track Section from the 21st Century Track System by Atlas Suitable for Ages 8 & Older. This is a 40" Custom Rigid Straight Track from the 21st Century Track System by Atlas Suitable for Ages 8 & Older. These are Atlas O Terminal Joiners. Suitable for Ages 8 & Older. This is the O Scale Code 148 Solid Nickel Silver 2-Rail - 40'' Flex Track Section from Atlas-O. These are Atlas O Bumpers. Suitable for Ages 8 & Older. This is a 5½" Straight Track Section from the 21st Century Track System by Atlas Suitable for Ages 8 & Older. These are Atlas O Nickel Silver Rail Joiners. Suitable for Ages 8 & Older. 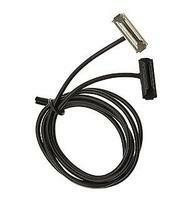 This is the O Scale Code 148 Solid Nickel Silver 2-Rail - Accessories - Terminal Joiners from Atlas-O. This is A 10" Terminal Straight Track Section from the 21st Century Track System by Atlas Suitable for Ages 8 & Older. This is the O Scale Diesel Alco C424 Phase II - 2-Rail, DC Powered/DCC Ready - Undecorated from Atlas-O. This is the O Scale Diesel EMD GP35 w/High Nose - Powered - 3-Rail w/TMCC - Undecorated from Atlas-O. This is the O Scale Diesel Alco C628 Phase 1 - 2-Rail - DC Powered (DCC-Ready) - Undecorated from Atlas-O. This is the O Scale FM Erie-Built A Unit - 2-Rail - Standard DC - Undecorated w/2 Headlights from Atlas-O. This is the O Scale EMD F3B Phase II - 2-Rail w/QSI Sound & DCC - Master(R) Gold - Undecorated from Atlas-O. 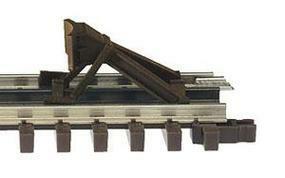 This is the O Scale Code 148 Solid Nickel Silver 2-Rail - 10'' Straight Track Section from Atlas-O. This is a 40" Custom-Flex Straight Track from the 21st Century Track System by Atlas Suitable for Ages 8 & Older.